Last week I was Lewis and Clark meet Ash Ketchum at Valley Forge Park. This week I was chasing Pidgey through the jaguar exhibit and hunting dragons in a farm field. Take that finance interns! Norristown is merely 4.6 miles from the King of Prussia Mall, and the bustling town has two major hotspots for Pokémon Go: Elmwood Park Zoo and Norristown Farm Park. 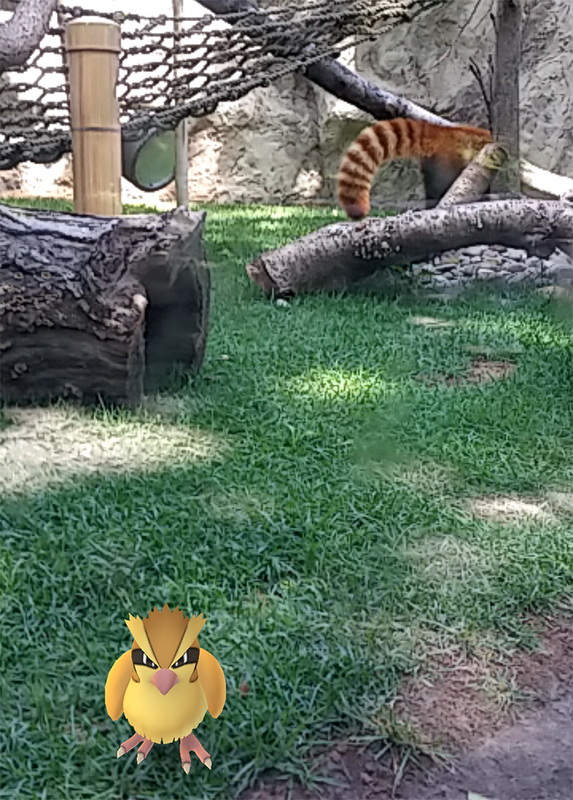 Ecstatic to meet real-life Vulpix red pandas, I hurried off to the zoo. Upon my arrival, I was in a creature-feature utopia. One glance at my Pokémon Go map revealed a plethora of Pokéstops and two Gyms within close range. Fixing my gaze away from augmented reality, I surveyed the eagles&apos; nest and made direct eye contact with Dhoruba the giraffe. As I peered into the prairie dog exhibit, an Oddish jumped up to greet me. Everywhere I turned, Pokémon and zoo animals alike were eager to say hello. I wasn&apos;t the only zoogoer thrilled to be here. Summer camp kids, families and fellow PokéMontco trainers chattered excitedly while exploring all that Elmwood Park Zoo had to offer. 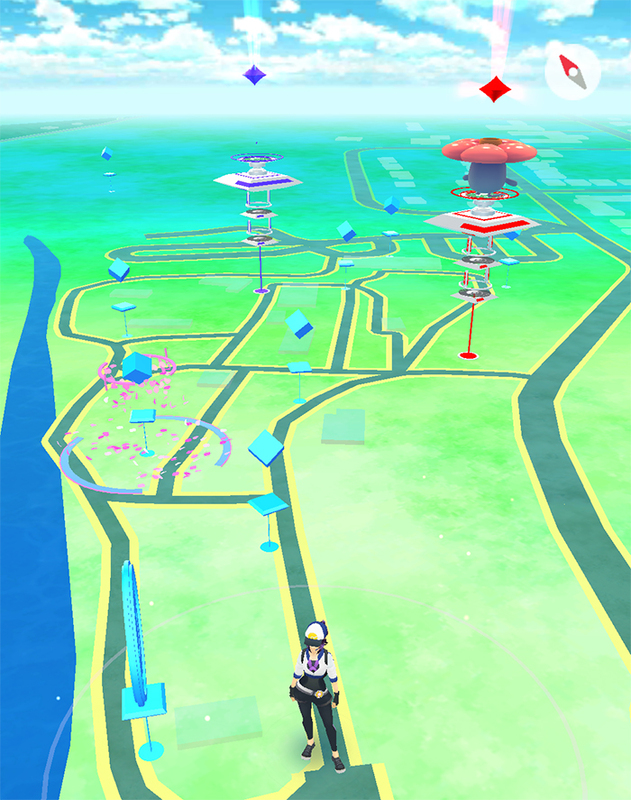 I had the opportunity to meet with Julia Santoro, one of the zoo&apos;s assistant managers and resident Pokémon experts, about the recent Pokémon Go events at the zoo. She noted that the two weekend events, offering half-priced admission for players and top prizes for high-level catches, were remarkable successes. Julia also hinted there are more Pokémon Go events to come this summer. A video of the exclusive interview and an encounter with Bubby the Bison is on its way! Following the festivities at the zoo, I continued my journey to Norristown Farm Park, which is less than three miles away. It&apos;s literally a walk in the park (ha...I&apos;m sorry) to do both in one day, so I highly recommend it. The rumors are true: Norristown Farm Park is a Charmander Nest. 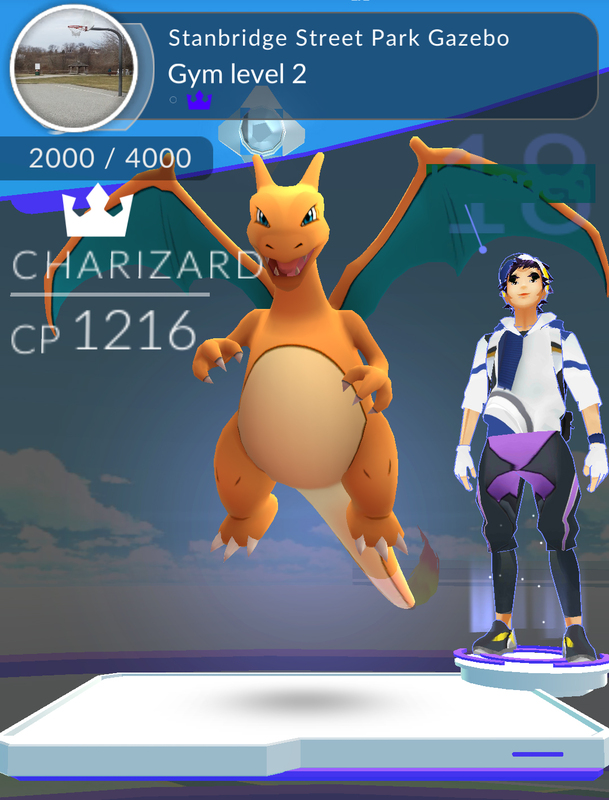 A self-proclaimed PokéMontco mythbuster, I made this trip to confirm the beloved fiery starter&apos;s presence at the park. And the spawn rate is ridiculous. The above screenshot was taken in the Main Visitor Lot. THE PARKING LOT. Ahem. If you haven&apos;t been to Norristown Farm Park yet, I guarantee it&apos;s worth a trip. There were clearly a lot of regulars. Everyone was milling about with a smartphone at the ready, and some groups were even wearing their teams&apos; colors. Norristown Farm Park is a serious venue (as serious as virtual anime creatures can get) when it comes to Pokémon Go. I&apos;ll admit, there are not many Pokéstops at Farm Park; there is one near the dairy barn and another in the picnic pavilion area. Thus, I recommend hitting Elmwood Park Zoo first. There you can collect and stock up on Pokéballs (and say hi to the animals!) before heading to the park. Starter Pokémon can be a real pain to catch, as they flee like bandits. Arriving with an arsenal of Razz Berries and Pokéballs is the key to catching in the long run. Overall, my Pokémon Go experiences at both the Elmwood Park Zoo and Norristown Farm Park were extremely rewarding. The PokéMontco community is warm and welcoming; I was surprised by the number of Trainers who looked up from their phones to say hello! With the negative press all too often circulating around Pokémon Go, it&apos;s encouraging to see such positive vibes and community spirit.